The greater Columbia area covers many communities, neighborhoods, cities, and zip codes. This series of posts focuses on one zip code at a time to give you an idea of the area and neighborhoods that may work for you. The 29229 zip code is located in the Northeast side of Columbia and is zoned for Richland School District Two. There are many different neighborhoods in this zip code, today we are touring ten of them. If you see a neighborhood that interests you or have any questions, please feel free to reach out to us! Accessible from both Clemson Road and Lee Road, the Winslow neighborhood is conveniently close to several shopping areas including the Village at Sandhill and Killian stores. Zoned for Richland School District Two, the students of Winslow attend several different schools depending on their street. Depending on their location in the neighborhood, students may attend Killian or Sandlapper Elementary, Longleaf or Blythewood Middle, and Ridge View or Westwood High School. Click here to access the online school zone mapping tool. In addition to its location, it is worth noting that Winslow currently has no annual HOA fee. Located minutes from the Village at Sandhill, Carriage Oaks is accessible from Clemson Road. Zoned for Richland School District Two, the students of Carriage Oaks may attend North Springs Elementary, Summit Parkway Middle School, and Ridge View High School. Residents of Carriage Oaks pay an annual association fee of $400 which covers common area maintenance, the clubhouse, and playground. Accessible from Farrow Road and Longtown Road, Brookhaven is located convenient to I-77 and Killian Road. Students of Brookhaven will attend Richland School District Two Schools depending on their location within the neighborhood. Elementary schools include Round Top, Sandlapper, or Langford Elementary. Students may also attend Longleaf or Blythewood Middle depending on their location and Blythewood High School. Brookhaven also has an affordable HOA fee of $175 per year covering common area maintenance. Tucked away off of Flora Drive, Rabons Farm is convenient to I-77 and Two Notch. Students of Rabons Farm attend Windsor Elementary, E.L. Wright Middle, and Richland Northeast High School. Rabons Farm has a yearly HOA fee of $215 covering common area maintenance, green areas, and sidewalks throughout the neighborhood. Turtle Creek is located only minutes from the Village at Sandhill and is accessible from Rhame Road. This neighborhood is comprised of all brick homes with garages and bonus rooms. Students of Turtle Creek attend Bookman Road Elementary, Summit Parkway Middle, and Ridge View High School. Turtle Creek has an HOA fee of $132 for common area maintenance and green areas. Additionally, the Clemson Extension trails are accessible a short distance from the neighborhood’s entrance. The Summit is a large, sprawling neighborhood comprised of over 20 different subdivisions. Prices in the Summit can range from $60,000 to $263,500 depending on the area and condition of the home. Zoned for Richland School District Two, the Summit students may attend several different schools depending on the section they live in. The elementary schools of the Summit are Rice Creek, Bridge Creek, and North Springs. Middle School students may attend Summit Parkway Middle or Kelly Mill Middle. High School students attend Ridge View High School. In addition to the varying schools and home values, the association fees are dependent on which section of the Summit the home is located in. The Summit’s entrance is less than a mile from the Village at Sandhill shopping center and is located nearby to many major roads of the area such as Clemson, Two Notch, and Hardscrabble. Located off of Clemson Road, Rose Creek is convenient to the Village at Sandhill shopping center. Rose Creek is zoned for Richland School District Two with students attending North Springs Elementary, Summit Parkway Middle, and Ridge View High School according to the District’s Zoning Map. With an affordable HOA fee of $120 yearly, Rose Creek is tucked away behind the local post office. Rainsborough is located off of Clemson Road, a short drive from the Village at Sandhill and many of the main roads in the area. Students living in Rainsborough attend North Springs Elementary, Summit Parkway Middle, and Ridge View High School of Richland School District Two. Rainsborough has an HOA fee of $263 covering common area maintenance and green areas. Lake Carolina encompasses a large area and is divided into many subdivisions with a range of home sizes and price points. In 2017 homes were listed as low as $82,000 and as high as $595,000. This diversity is also reflected in its HOA fees which are divided into one fee covering the common areas of the entirety of Lake Carolina and a different fee covering the individual sections. Lake Carolina boasts a town center with shopping, restaurants, and doctor’s offices. Students in Lake Carolina may attend Bridge Creek or Lake Carolina Elementary, Kelly Mill Middle, and Blythewood High School. Located off of Rhame Road, Woodlake is minutes from the Village at Sandhill and features a man-made lake with community pavilion, pool, and playground. Students in Woodlake attend Bookman Road Elementary, Summit Parkway Middle, and Ridge View High school. The HOA fee for Woodlake is $365 yearly. Although it is an established neighborhood, there are still lots available for new construction. Are you interested in learning more about the area? 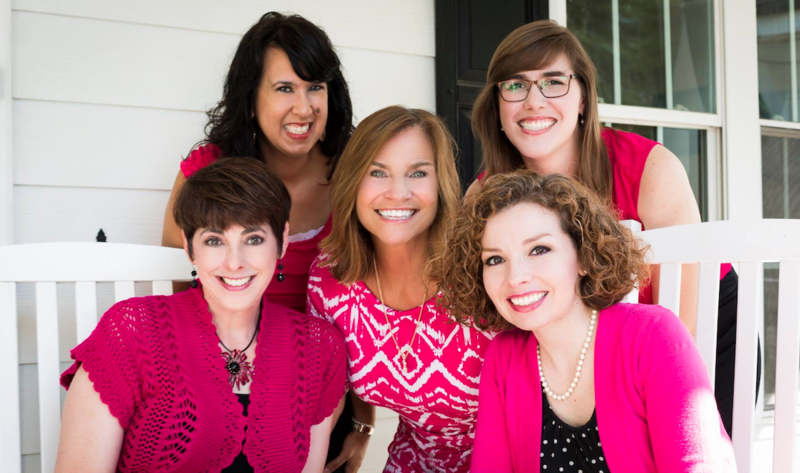 Call us and ask away! **Disclaimer: All school information included in this post was pulled from the Richland School District 2017-2018 Zoning Map, the best way to identify what school a home is zoned for is to contact the school or district directly. 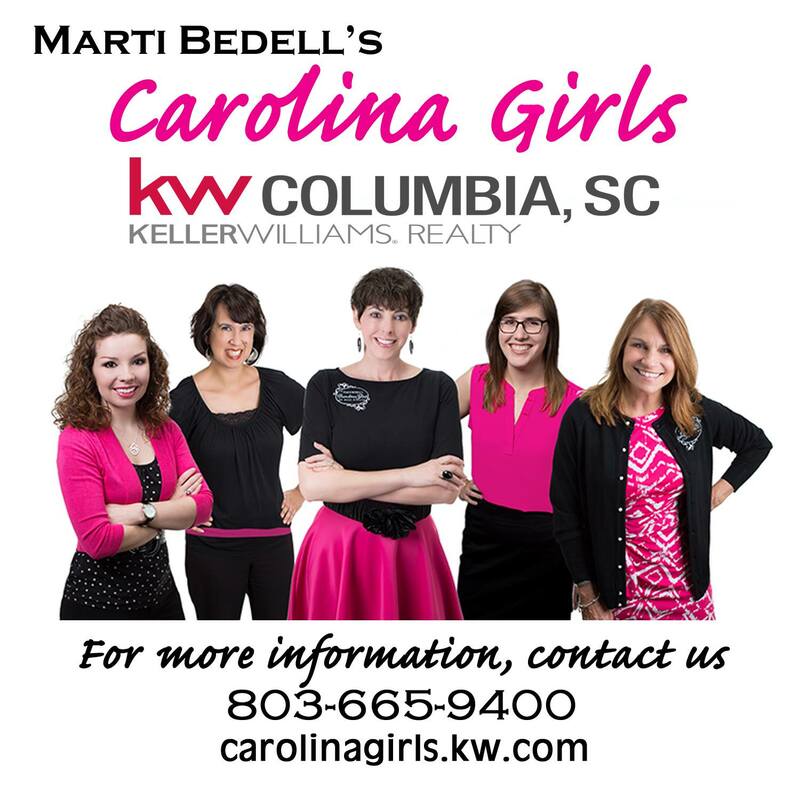 All HOA information has been taken from the Multiple Listing Service and should be verified with the sellers via your Carolina Girls Buyers Agent. All neighborhood statistics are based on closed homes in 2017 on the Columbia MLS.